Highlights from the museum’s extensive collection of Austrian art from the period 1890 to 1940 are on view, including major works by Gustav Klimt, Oskar Kokoschka, Alfred Kubin, and Egon Schiele. The display features an extraordinary selection of Klimt’s paintings, including the early portrait of Gertha Loew (1902) and the “golden style” portrait of Adele Bloch-Bauer (1907). These are complemented by two works with unidentified sitters—the Symbolist Pale Face (1903) and The Black Feathered Hat (1910), which shows Klimt’s careful study of the art of Henri de Toulouse-Lautrec. The late unfinished works, Ria Munk III (1917) and The Dancer (1916-17), offer unparalleled insight into Klimt’s working method. In both, he initially sketched an outline of the composition in charcoal and then painstakingly filled in the details with oil. 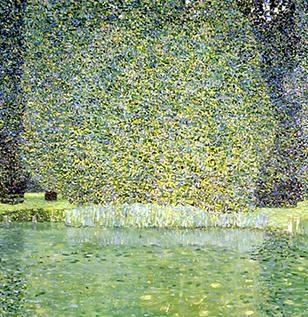 In addition, two of Klimt’s highly coveted landscapes are on view—Park at Kammer Castle (1909) and the Forester’s House in Weissenbach II (Garden) (1914), which were painted during his summer holidays on the Attersee, a popular lake in the Salzkammergut region of upper Austria. An adjoining gallery features a prominent group of paintings by Oskar Kokoschka and Egon Schiele. 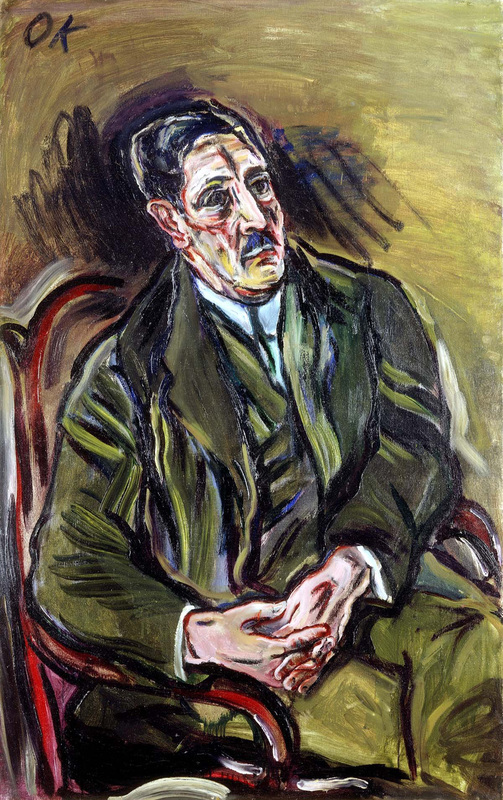 Especially noteworthy are the early Expressionist portraits by Kokoschka, including Martha Hirsch (1909), Peter Altenberg (1909), Ludwig Ritter von Janikowski (1909), Rudolf Blümner (1910), and Emil Löwenbach (1914). 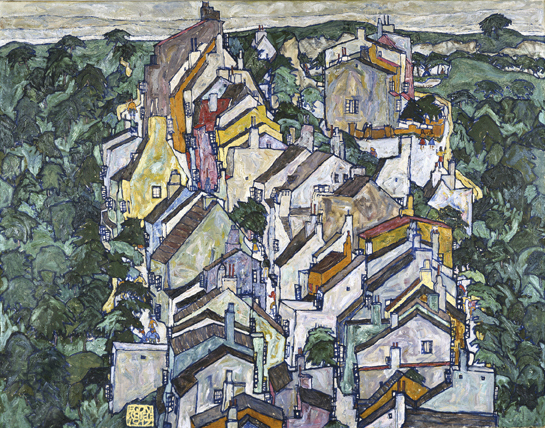 Two late landscapes by Egon Schiele, Stein on the Danube, Seen from the South (Large) (1913) and Town among Greenery (The Old City III) (1917), are complemented by Schiele’s ethereal Danaë (1909). This early work, completed in oil and metallic paint, was done when the young artist was still under the influence of his mentor Klimt. Three sculptures by George Minne—The Kneeling Youths (1898) and The Bather (ca. 1899)—are notable both for their artistry and for their provenance. Born in Belgium, Minne exhibited his work at the Vienna Secession, where he quickly drew acclaim. Both Kokoschka and Schiele were influenced by Minne’s example, with his attenuated forms and evocations of pathos. The Kneeling Youths were originally owned by Adele and Ferdinand Bloch-Bauer and were donated to the museum in 2007 by their heirs. 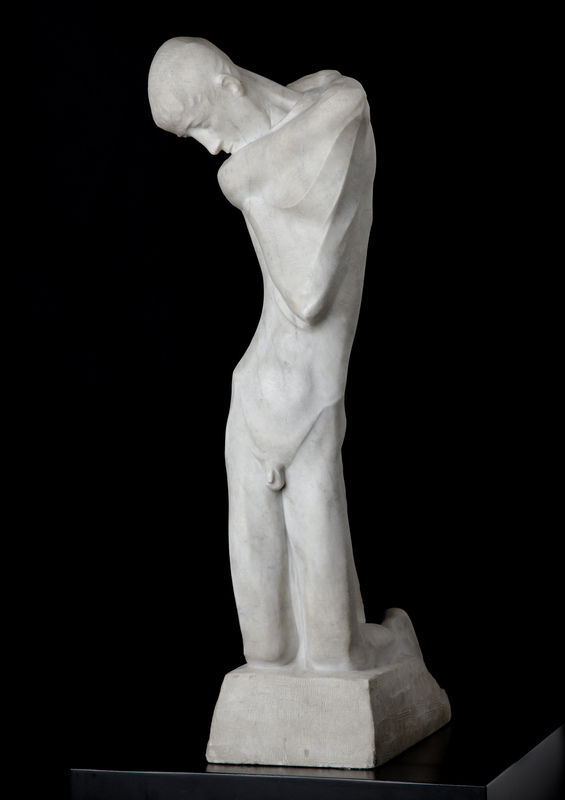 The Bather once belonged to Fritz Waerndorfer, the initial financial backer of the Wiener Werkstätte (Vienna Workshops). These important paintings and sculptures are complemented by a display of nearly 50 drawings by Klimt, Kokoschka, Kubin, and Schiele, which will be on view through May 13, 2019. Especially noteworthy is a group of almost a dozen drawings by Kubin, who was the subject of a 2008 solo exhibition at the Neue Galerie. Kubin’s haunting ink drawings plumb the depths of the subconscious and reveal hidden desires and fears. One of the most poignant is Dying (ca. 1899), believed to be a self-portrait of the artist after a failed suicide attempt. 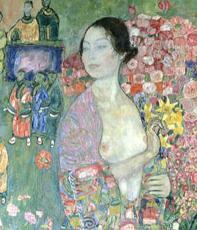 Also shown are examples of the studies that Klimt made in preparation for his two portraits of Adele Bloch-Bauer. He shows her posed in a variety of reform-style dresses, both sitting and standing. Icons of modern design round out the presentation, including Josef Hoffmann’s Sitzmaschine and Adolf Loos’s Knieschwimmer, as well as an exceptional array of luxurious silver objects made by the Wiener Werkstätte after designs by Hoffmann, Koloman Moser, and Dagobert Peche. A stunning group of mirror frames by Peche in carved and gilt wood are highlights of the show, along with a selection of clocks by Loos, Hans Prutscher, and Joseph Urban. Please note that from May 16 through May 20 the Drawings Gallery will be closed as installation is underway for the opening of Eclipse of the Sun: Art of the Wiemar Republic.